HI, MY NAME IS GLORIA. Tell me, when you read that, did you start singing a song in your head? If so, which one? Chances are, though, if you have a song name, it is attached to a single iconic song. When you’re first introduced to strangers, they are all going to deliver their own hellishly atonal version of that same song, each person weakly offering, “I’m probably not the first to sing that song, am I?” while invariably hoping that they are, in fact, the first person to make that connection. This isn’t true when you’re named Gloria. There are at least two popular songs and one holiday classic that share that name and which have been sung to me throughout my life, generally by my peers or those one generation older than I. Admittedly, being acknowledged this way happens less and less as I get older, and someday everyone who is susceptible to these earworms will be dead. In the meantime, here are three songs that people have used to greet me and that they will continue to address me with for the balance of my tenancy in this tune-friendly mortal coil. When I was much younger, say pre-puberty, I admittedly relished the attention I would get from my young parents’ friends, who would sing the popular, name-spelling chorus at me when they first met me. 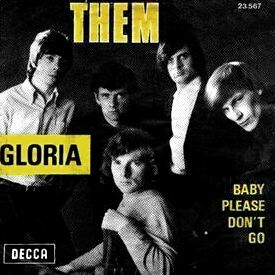 My mom would say, “And this is my daughter Gloria.” As if on cue the person I was being introduced to would belt out, “G–L–O–R–I–A, Gloooooooria.” And then he would laugh, delighted with himself. The first several dozen times this happened, it was great. But by the time I started adolescence, the last thing I wanted was people singing my name at me, least of all my lame parents’ friends. But by then, people my age had learned the song, so I had to endure it everywhere I went. I was in my adulthood before I really paid attention to the lyrics of Them’s “Gloria.” Morrison repeats several times, that his Gloria, “comes around here at just about midnight. She make ya feel so good, Lord. She make ya feel all right.” I was nearly 30 before I realized that my whole life, especially my childhood, grown men had been singing to me and associating me with a song that is, at best, about a sexually skilled night owl. To this day, people occasionally greet me by spelling my name in a gravelly singsong. The blush has long faded from that rose, though. After years of suffering through this, I usually interrupt the person committing this wearisome crime and say, “You know that’s about a prostitute, right?” And then we stare at each other awkwardly for a second before getting the hell on with our lives. No matter what this sugary 80s chart-whipper concerns, for the ten years splashing in that song’s wake, I would introduce myself and people and they would parrot back, “I think they got your number!” Acquaintances didn’t wait for an introduction, they would effusively greet me that way, savoring each time as if it were their first. It still happens from time to time, though less often as the years pass. I never cared for this song and in fact resented people who didn’t sing Them’s version at me instead, as if they weren’t savvy enough to know the song with the greater hook and the stronger staying power. Interestingly, this “Gloria” song was no one hit wonder. In fact, in had a long and interesting history as an Italian Top Ten hit three years before Branigan recorded her version in 1982. It has, in fact, gone on to be covered repeatedly throughout the years, and in several different languages as well. 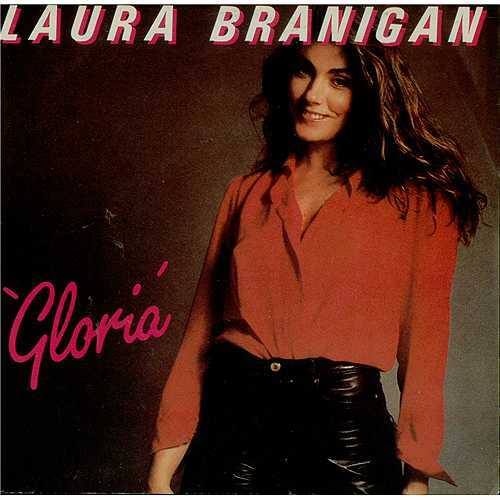 Still, in answer to the great debate (believe it or not, there is one) about whose Gloria song is better, Van Morrison’s or Laura Branigan’s, I’ll say this: only one of them has been adapted by Patty Smith. 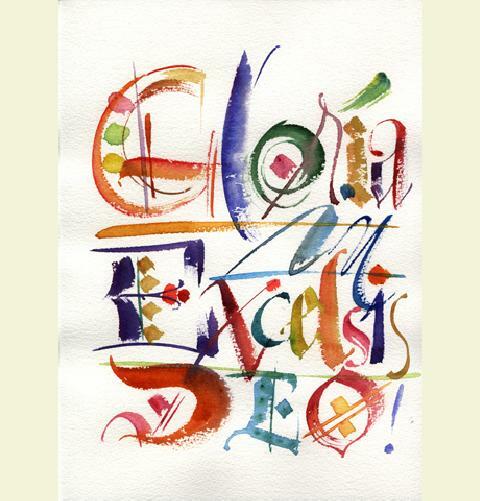 Latin for “Glory to God in the highest,” this popular Christmas hymn probably doesn’t seem like the type of song anyone would serenade another with, but that’s not true. When I was in seventh grade at Roy Martin Junior High School in Las Vegas, Nevada, there was a girl in my grade named Tina who sang in the school choir. Tina had a huge crush on Francisco, who didn’t speak any English, but who was kind and very attractive, as 12 year olds go. Tragically, Tina’s love lingered unrequited, much to Tina’s great ire, largely because Francisco was my boyfriend instead. Tina was no friend of mine, and so I proceeded entirely unaware of her amorous designs. One day after school, having no way to communicate my feelings of great attraction for Francisco, as I spoke no Spanish and he spoke no English, I sidled up to him after school, made brief eye contact so as not to frighten him, and demurely grabbed him by the back of his head and stuck my tongue down his throat. And from that romantic moment onward, Francisco was my boyfriend for two glorious (no pun intended) weeks. Tina heard about my new relationship with Francisco and I learned three things: she was in choir, she had a beautiful singing voice, and there was a song in the world called “Gloria in Excelsis Deo.” However, instead of singing the phrase “in excelsis Deo” after the long, trilling invocation of my name, she would sing, “Tina’s going to kill you.” So, twice a day for two weeks, as Tina and I passed each other between classes, she would threaten my life with the voice of an angel. And now, every year at Christmastime, I’m reminded how, more often than not, hearing your name sung to you may hold terrifying implications. *I’m not judging what anybody names his or her child, especially since I named my twins after the greatest fantasy writer in the English language and the most beloved drunken Spaniard in all of literature (as pronounced by Andre the Giant in the movie version). I’m just saying, nobody starts quoting long passages of literature at you when you have a literary name. It’s just not as catchy. **Seriously? Is there not one single Gloria in all of lyrical history who doesn’t need a safety plan on file? GLORIA HARRISON is a writer whose work has been featured on The Nervous Breakdown, Fictionaut, and This American Life. Gloria was the lead editor for The "Portland Red Guide: Sites & Stories of Our Radical Past" by Michael Munk, which was published through Ooligan Press in 2007. She was also a contributing editor to Pete Anthony's book, "Immaculate," for which she received a high five and a ten dollar gift card to Stumptown Coffee. Gloria graduated from Portland State University with her B.A. in English in 2006 and now focuses on her own writing. She had a work of flash fiction published in "The Bear Deluxe Magazine" (No. 26). 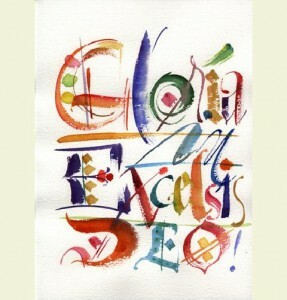 You can follow her on Twitter here: http://twitter.com/gloriaharrison. Gloria lives in Portland, Oregon with her school-age twin boys. She is currently working on both a memoir and her first novel. You can contact Gloria via her Facebook page. 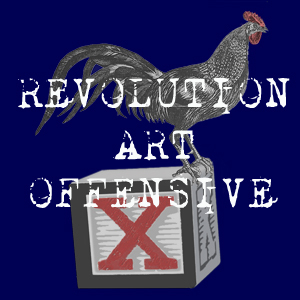 This entry was posted in Monday Rock City, Power Trio and tagged bad jokes, choir, gloria, laura branigan, lyrics, monday rock city, Music, Power Trio, songs, The Weeklings, Them, van morrison, verbal threats. Bookmark the permalink. You mean people *and* sports bars/restaurants in the greater Boston area. Right on cue, we get seated, and Laura Branigan pumps out of the speakers. Hospitality at its finest. I also lament that no musician has been able to spell my name correctly in their songs. that was pretty remarkable when that happened in the bar. :) What is the deal with the H/no H Sarah thing? WHY ARE THERE TWO, SARAH?! However, I’ve just always gone on the assumption that choosing “Sara” is just parental laziness and irresponsibility. And I’m sticking to it. Gee, thanks for insulting my grandmother. While the only song I’m aware of that has my name is a mediocre 311 track, I was named after the book Forever Amber, about a farmer’s daughter who sleeps her way to the top of the English aristocracy in Charles II’s time. Wow. That’s a heartwarming story, Amber. *sigh* Nobody writes songs about Patty or Patricia. Middle name “Jean”, however, has scored several. 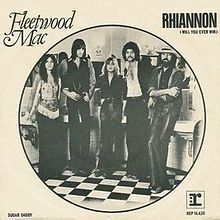 I taught a Rhiannon in elementary school and it always made me chuckle inside whenever I said her name. Her mom was exactly as I pictured her when she came to parent conferences.